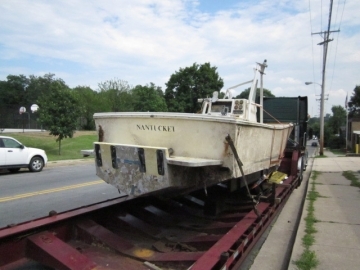 The Regulator boat “Queen Bee” has finally returned to the U.S and is now back at Regulator Marine. The capsized fishing boat went under off the coast of Nantucket and took a 3 1/2 year fishing journey across the Atlantic, reappearing off the coast of Spain. That’s more than 3,000 miles away from where the owner, Scott Douglass and his brother-in-law, Rich, were thrown from the boat. It is has now returned back to the Regulator factory after its incredible journey home. 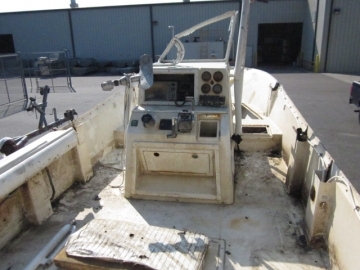 Read more about this amazing fishing boat story here. « Build Your Own Dream Garmin Dash & Make It A Reality With Us!